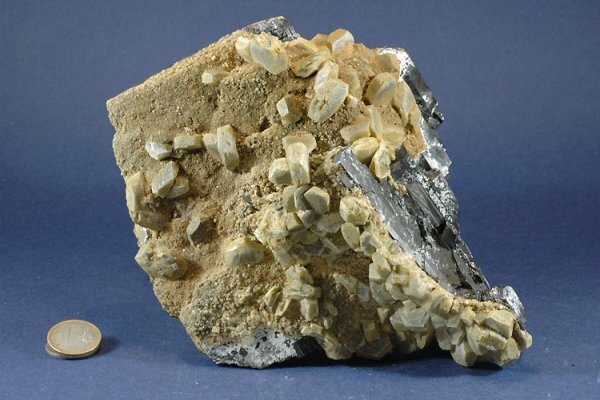 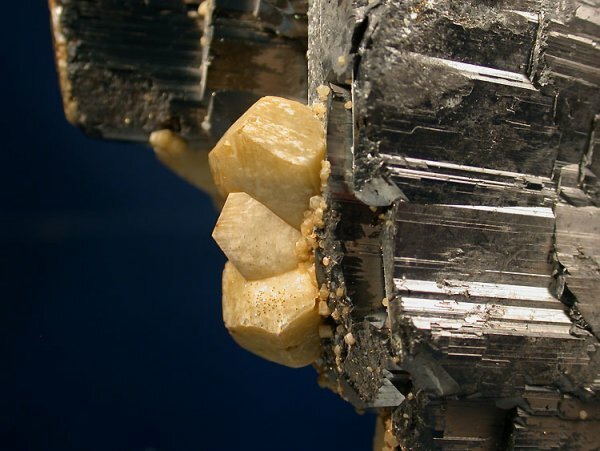 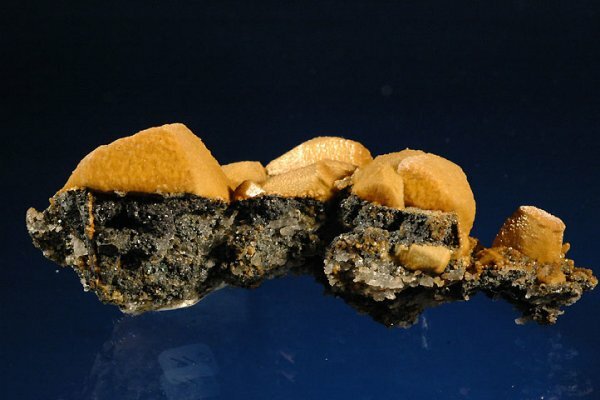 Sphalerite and Siderite epimorph after Calcite. 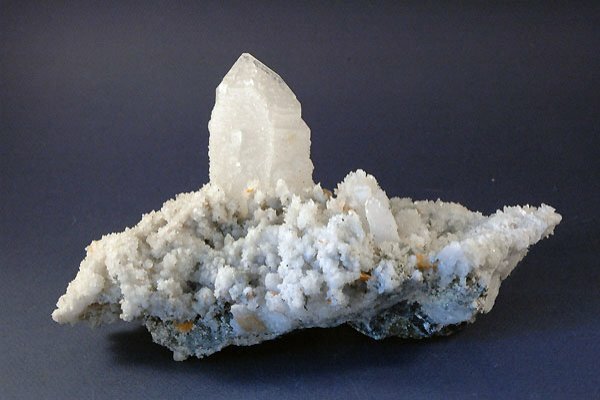 Broken Hill Mine, Aggenys. 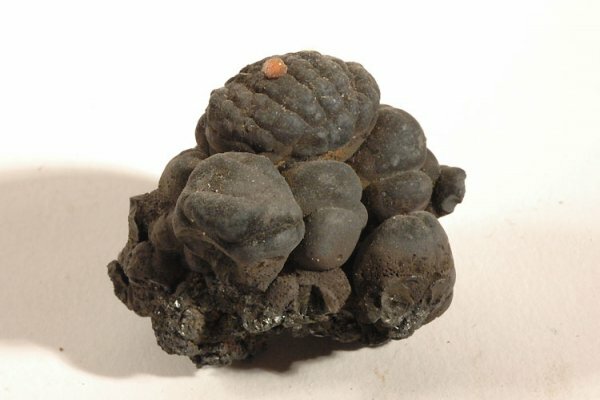 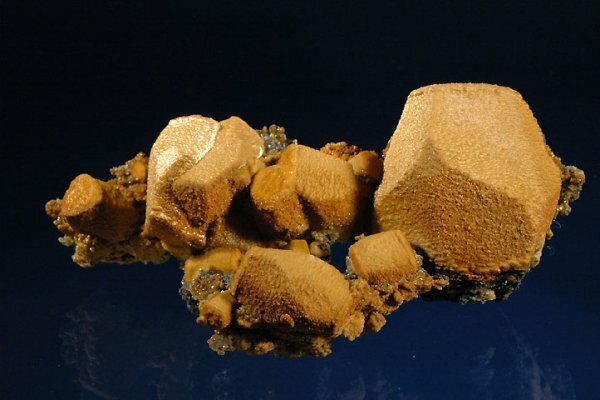 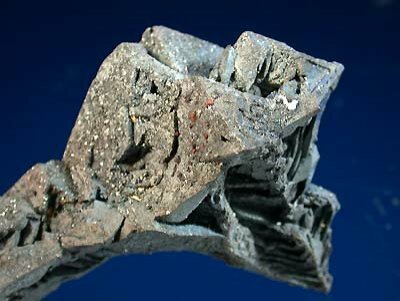 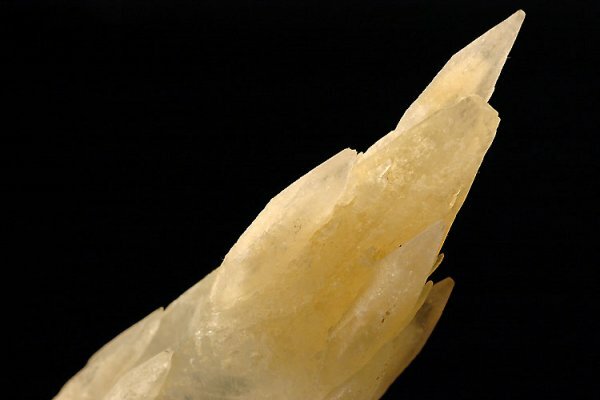 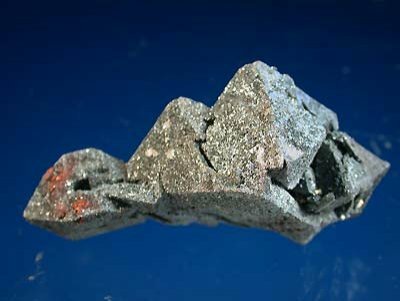 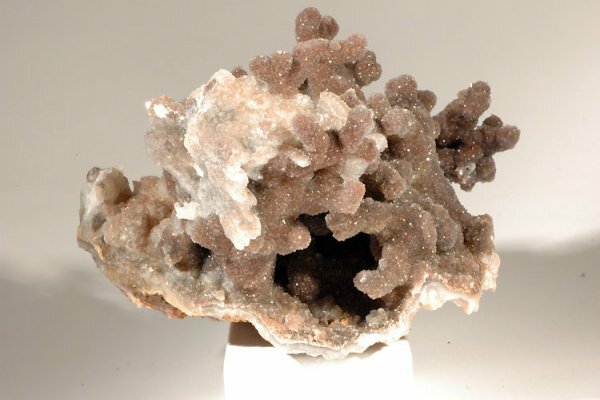 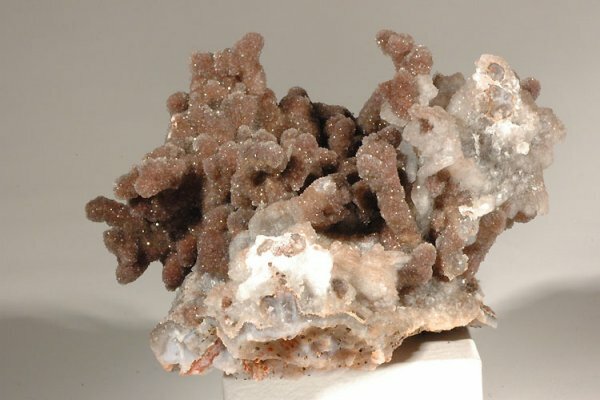 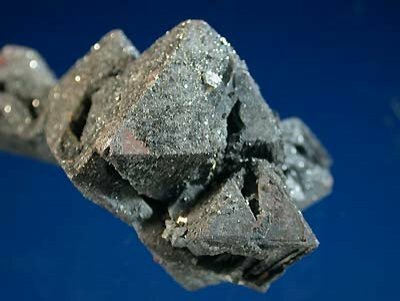 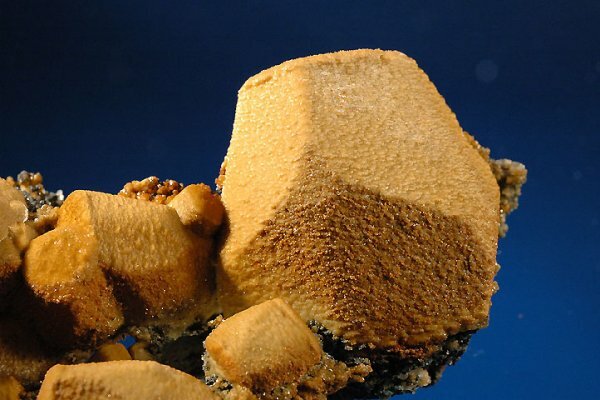 This specimen consists of a siderite/sphalerite cast,which has retained the shape of the calcite crystal that it once enclosed. 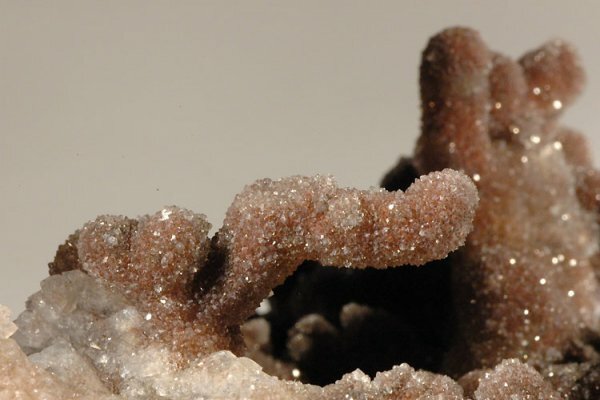 This specimen is wonderful because of its brillancy. 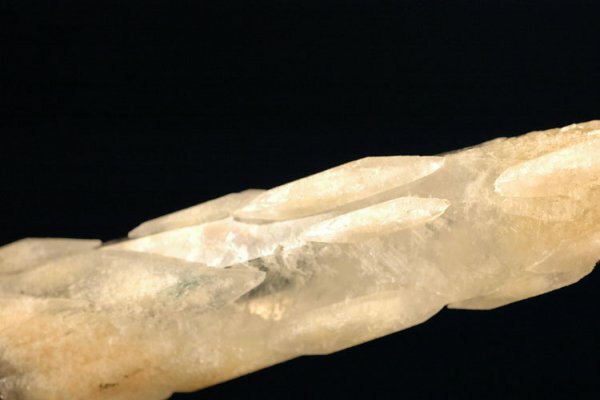 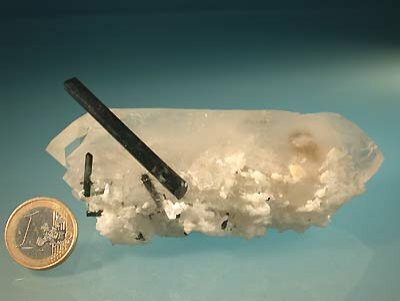 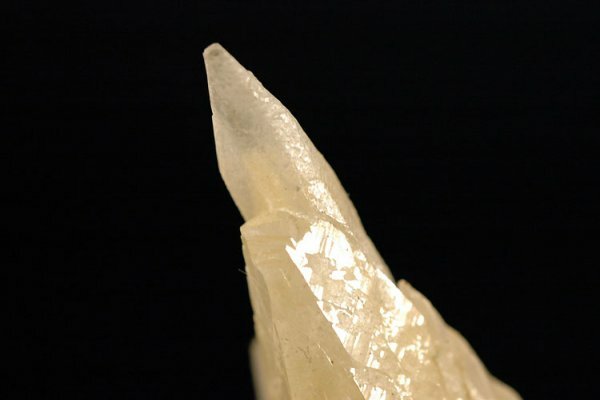 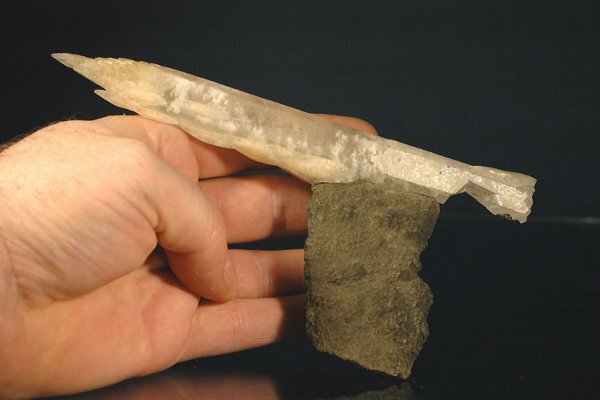 Indigolite on floatting and double finished quartz cristal. 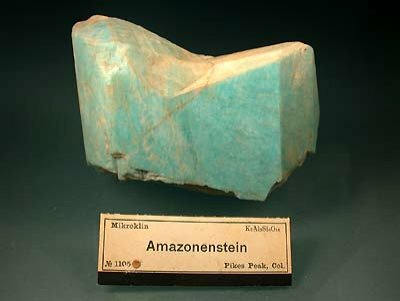 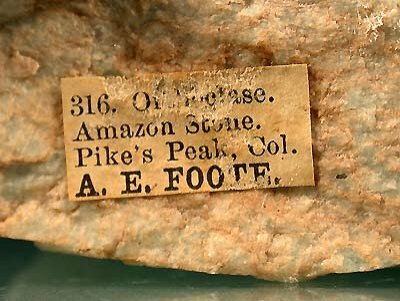 Superb specimen belonging to G. Emringer's collection. 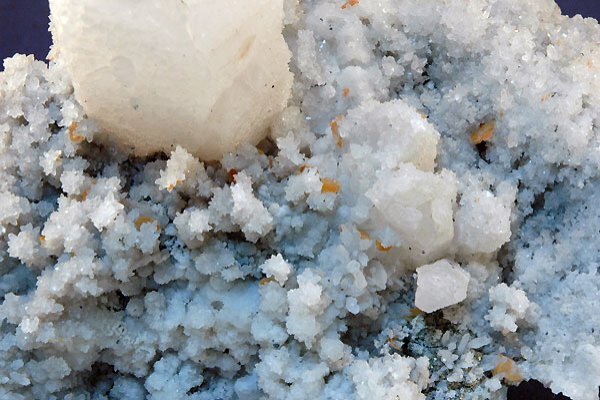 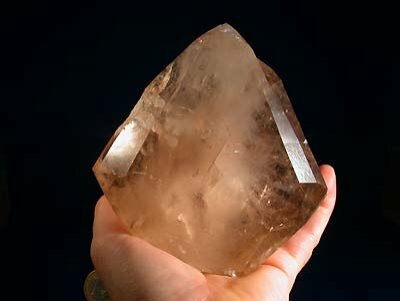 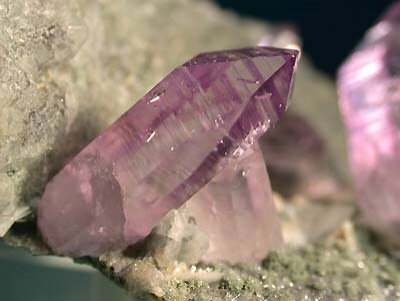 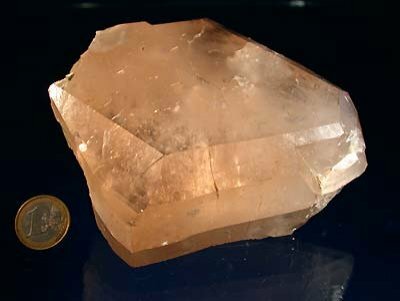 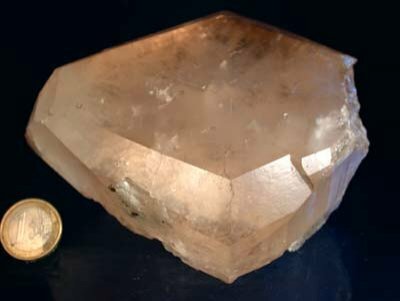 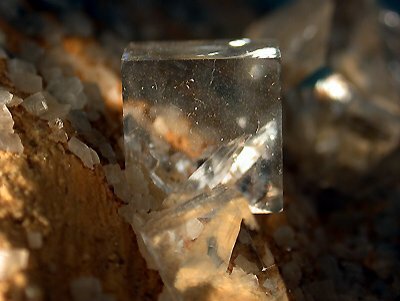 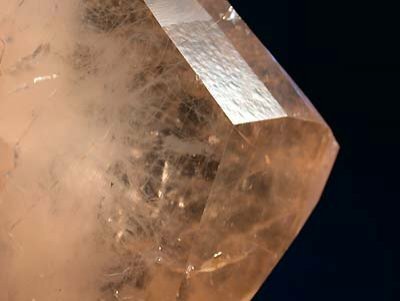 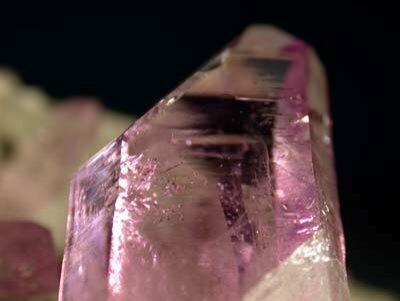 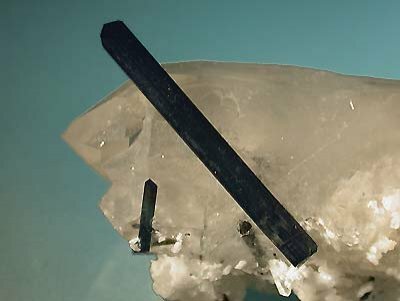 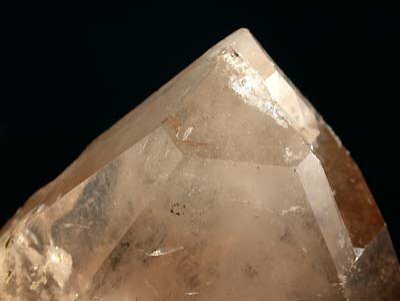 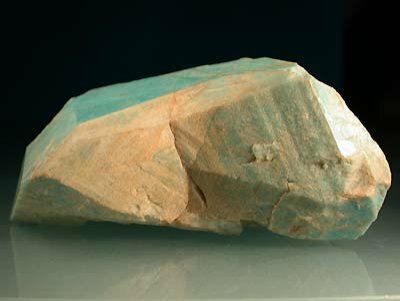 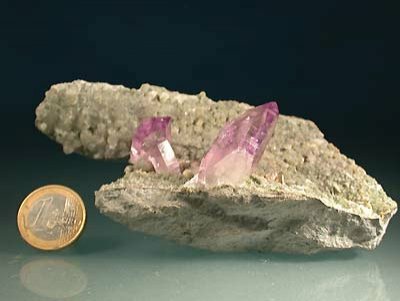 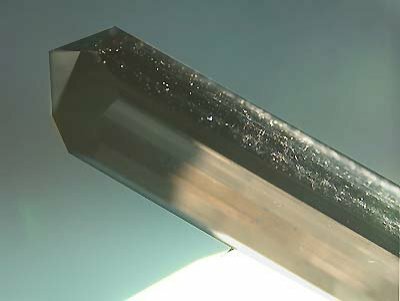 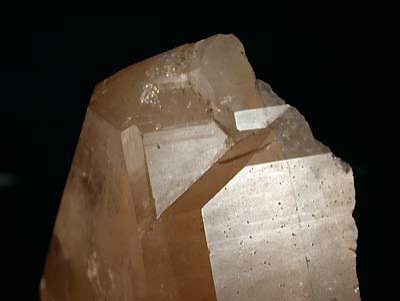 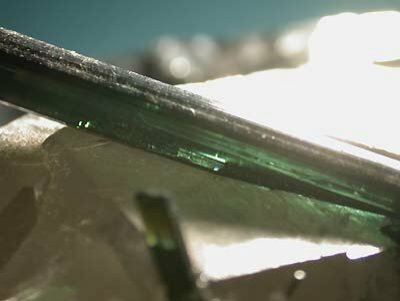 Other little tourmaline cristals are scattered on and in the quartz, which is transparent in certain zones, and "foggy" in other ones. 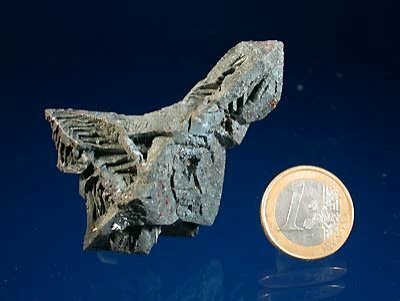 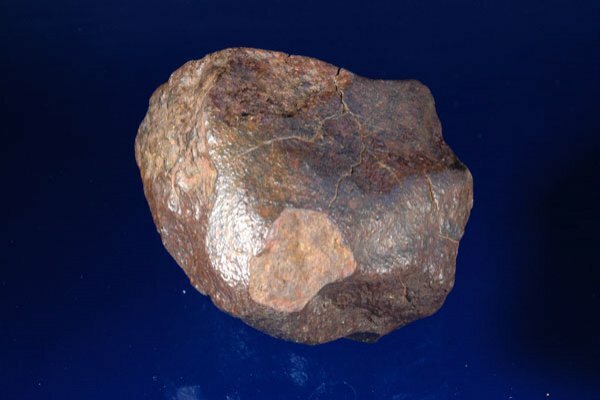 VERY EXCEPTIONAL METEORITE! 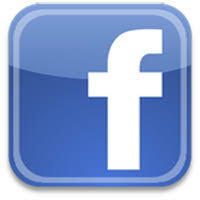 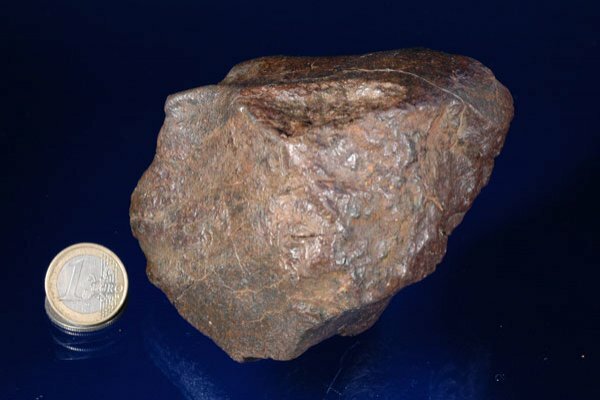 The size and the weight represent a ratio of 1/40 of the total weight which arrived on Earth. 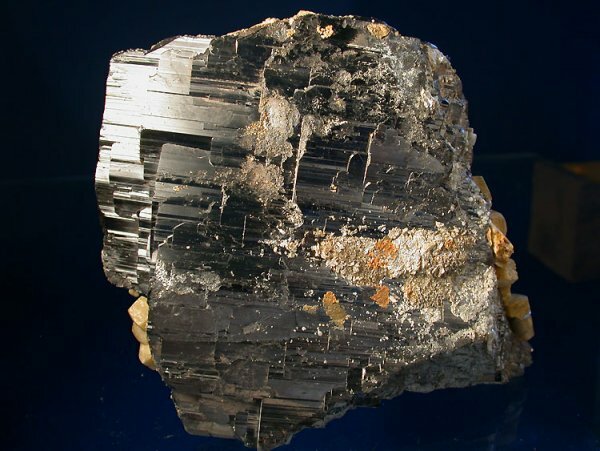 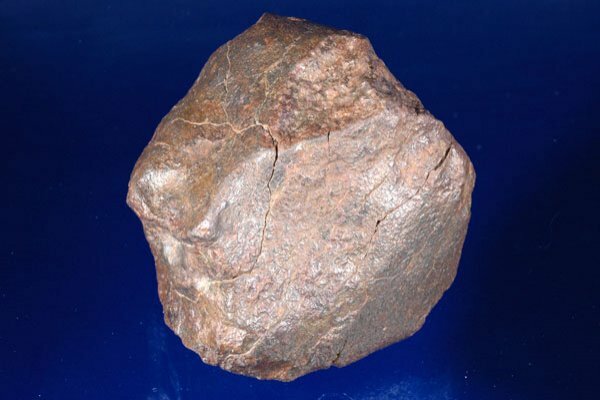 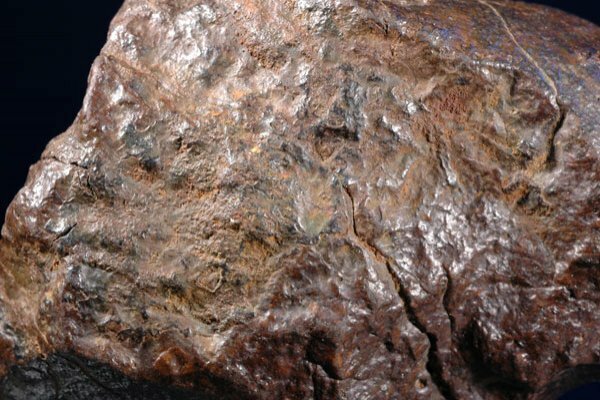 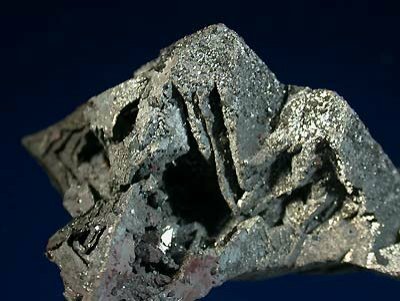 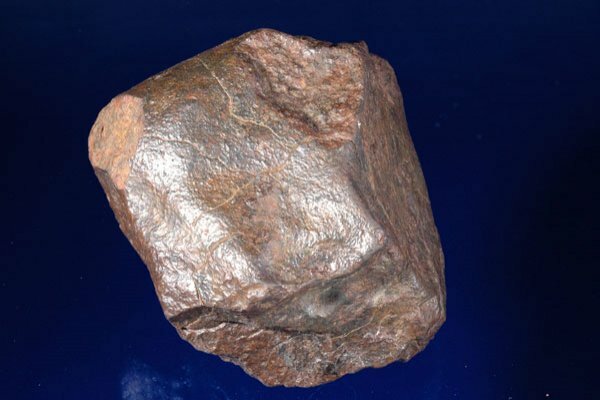 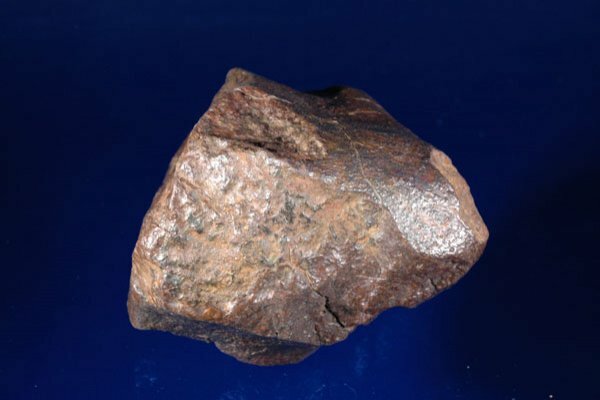 Iron meteorites are composed largely of nickel-iron metal, and most contain only minor accessory minerals. 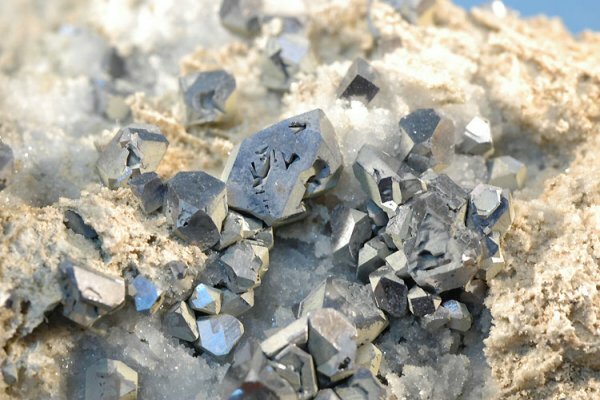 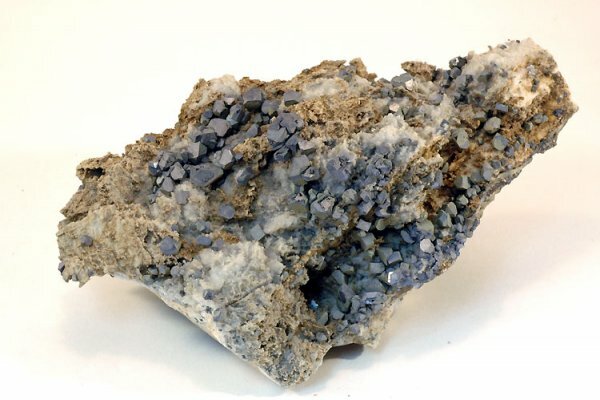 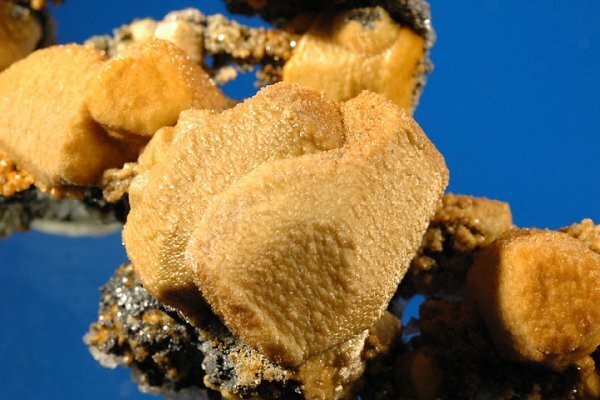 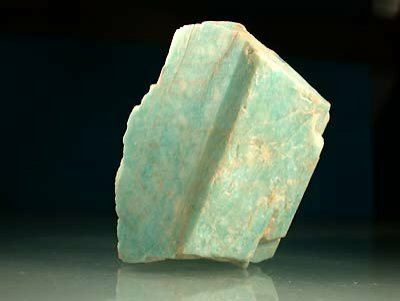 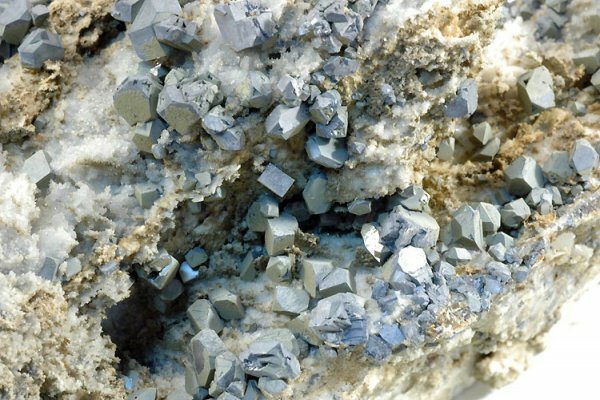 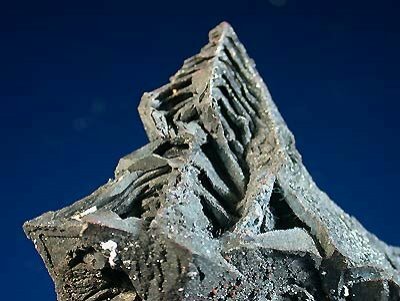 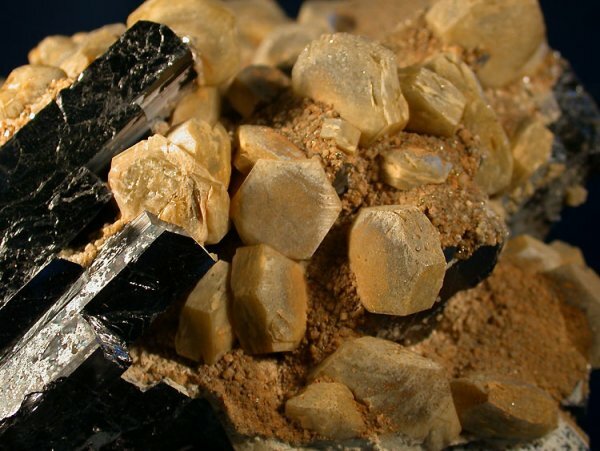 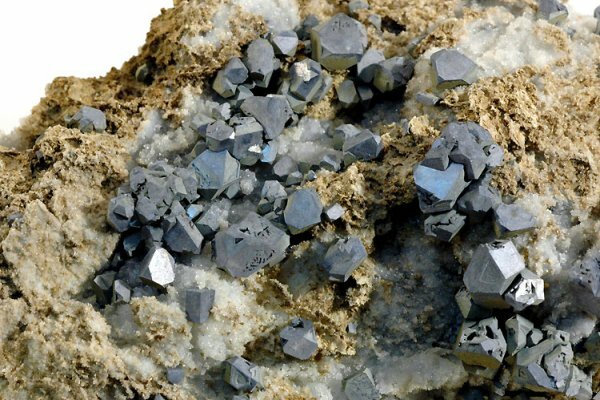 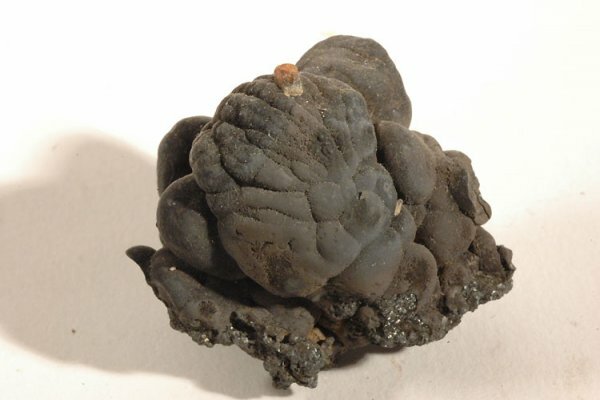 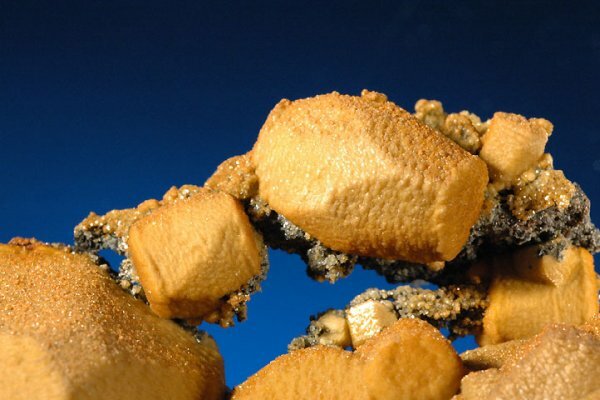 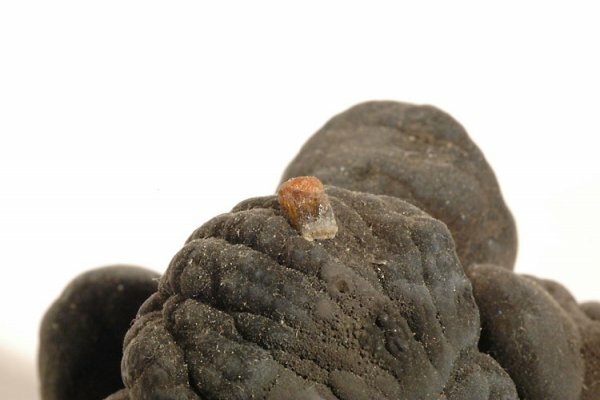 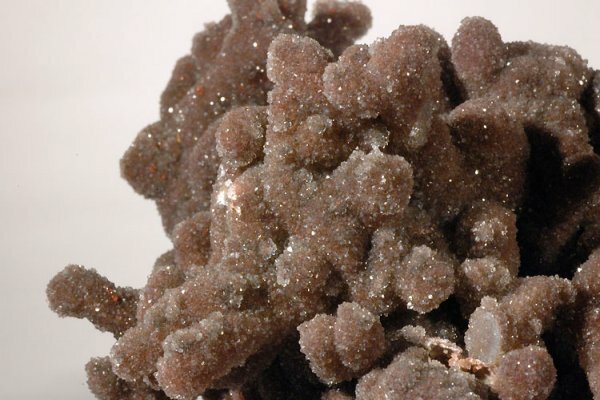 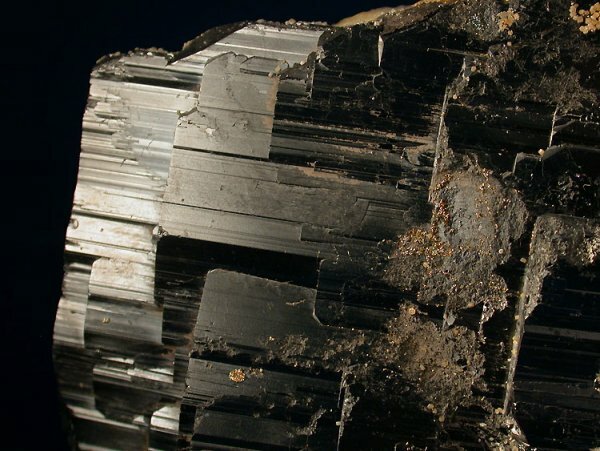 These accessory minerals often occur in rounded nodules that consist of the iron-sulfide troilite or graphite, often surrounded by the iron-phosphide schreibersite and the iron-carbide cohenite. 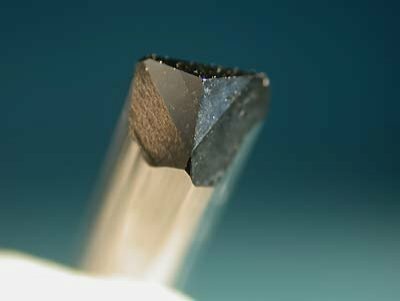 Despite the fact that some iron meteorites contain silicate inclusions, most have fundamentally the same superficial appearance. 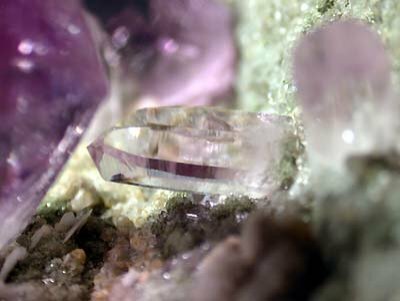 Very nice amethyste crystal from an internatinaly known location : Vera Cruz.